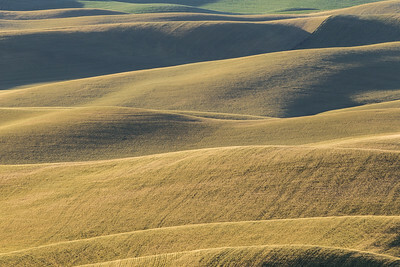 Pictures from the Rolling hills of the Palouse area. They provide warmth and comfort to any home wall. Layer upon layer, the rolling hills, one after the other. Into a shadow, this green and golden field merge. 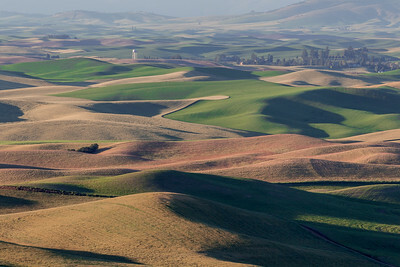 Shadows and Layers are produced in these Palouse hills. 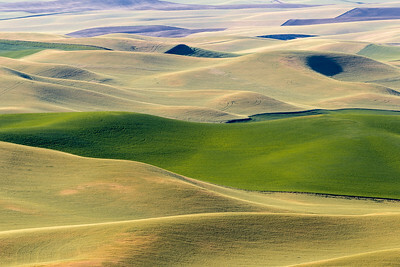 Colorful rolling hills of the Palouse area of Eastern Washington. The golden glow of this wheat field come to life in the layers one after the other. 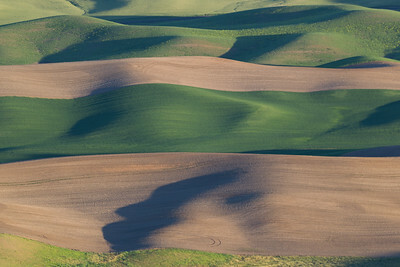 Shadows provide definition to the rolling hills of the Palouse area. Life among the rolling hills near Colfax Washinton. 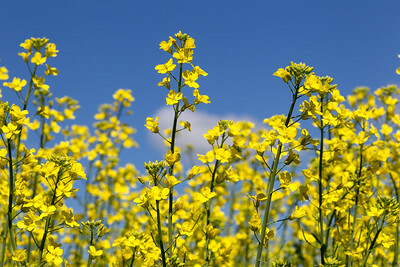 Canola is a common crop in the Palouse area of Washington state. 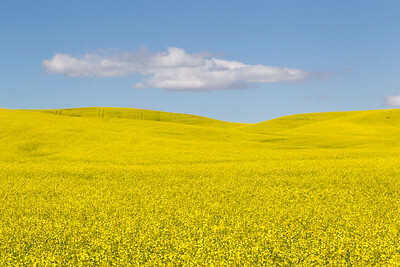 Yellow Canola as far as the eye can see in this Colfax area of the Palouse. A farmyard fence using a variety of old steel wheels. The early growth of green in the hills of the Palouse area. Farmyard of many wheels is a creative way to build a fence in the Palouse area of Washington State. Old but still standing barn. Growing wheat in as many places as possible in the Palouse area of Washington State. The line has been drawn separating these two fields. Palouse Falls State Park . Natural curves across a field separating crops in the Palouse area. Brilliant green among early crops provides great contrast. Fields of color on the rolling Palouse hills. 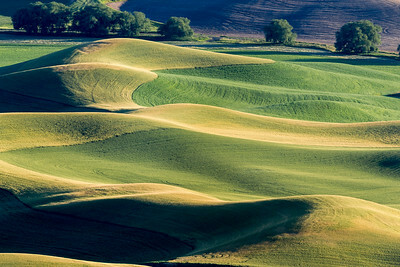 Rolling hills and shadows are creeping in on this farm in the Palouse. Light golden to dark green fields surround this farm house in the Palouse. 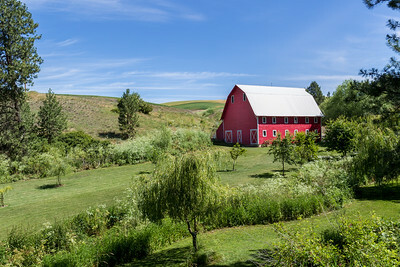 Wonderful setting for a farm house surrounded by these rolling hills of the Palouse. Waves of color on this Palouse farm. Rolls and shadows on the farm. Creeping shadows on the Palouse farm. Streaks of color on the Palouse farm. Wind power on display in the field of wheat. 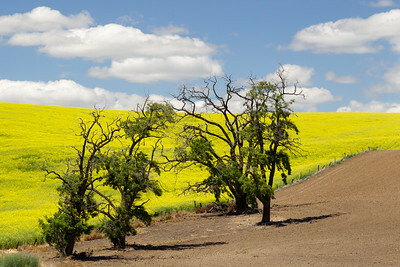 Complimentary colors of sky and canola on fields in Eastern Washington. Farm and Barn, in the Palouse. A well cared for Red Barn among the hills of the Palouse.